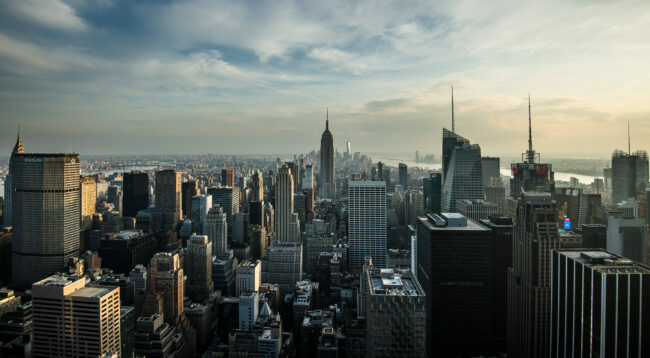 Directions: In New-York City, go to the Rockfeller Center (50th St, between 5th and 6th Avenue), take the tour to the last level, to have a classic but always great view of Central Park and Manhattan. As often, things become more interesting with a not so blue sky, when sun is going down…Perfect time at night also, anyway, city view is always stunning! There are some tall glass panels to avoid people falling down, so you need to find ones with enough space between them to have an unobstructed view. Agreed cool place to get a great skyline shot. The challenge is to put your unique perspective on the view, as thousand of visitors snap photos all day long here.